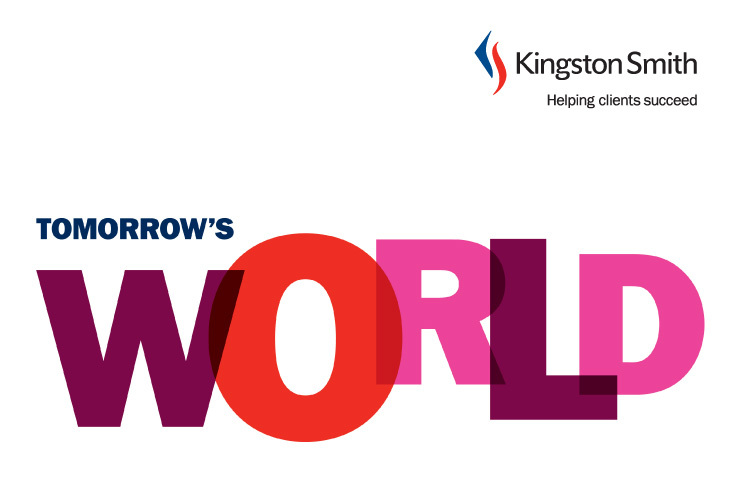 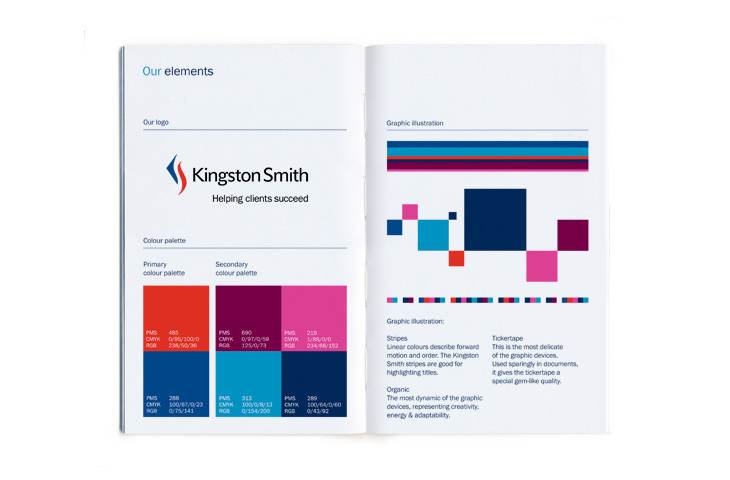 Kingston Smith is a fast-growing top 20 accountancy firm, supporting entrepreneurial businesses, private individuals and not-for-profit organisations across a number of sectors. 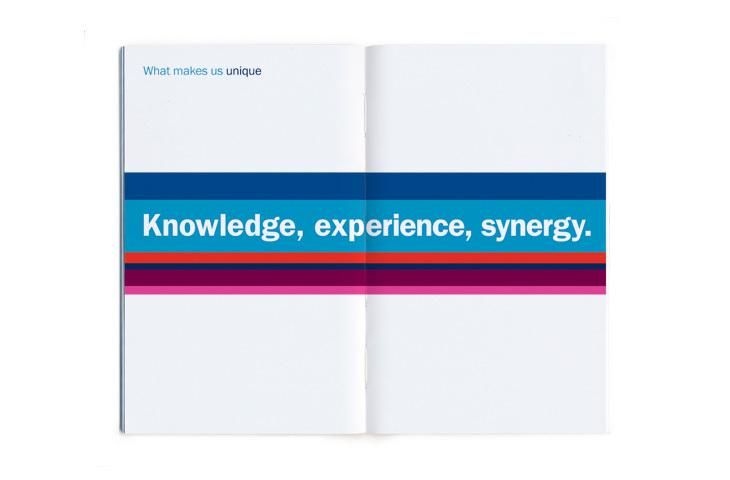 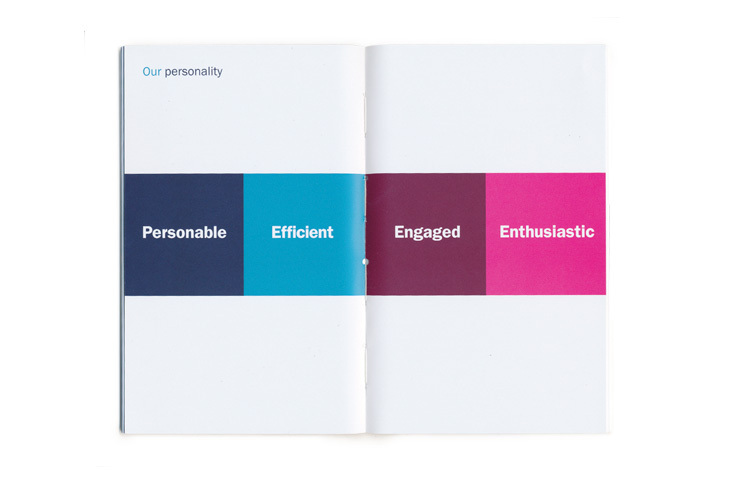 We worked with senior partners and internal practise teams to bring greater clarity to their positioning “Helping Clients Succeed” whilst bringing both consistency and variety of expression to their communications. 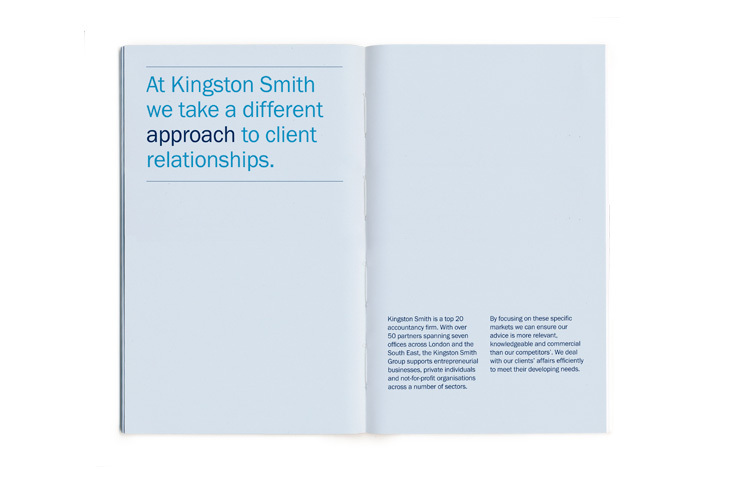 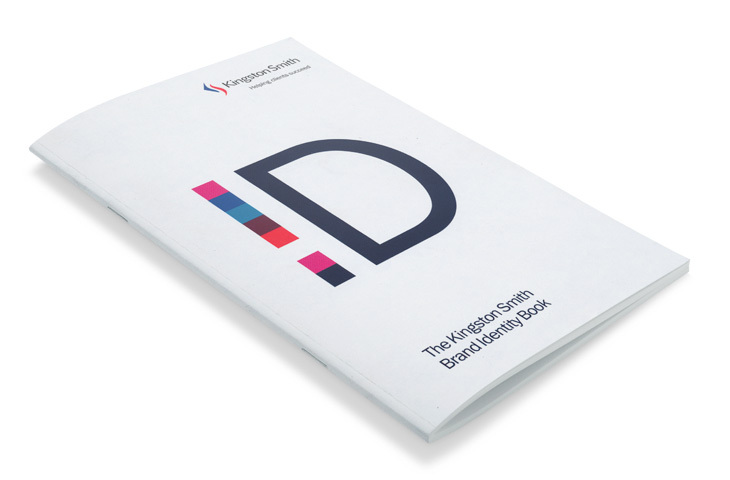 The existing identity had consistency, but little personality and greater differentiation was required We created a more approachable image building on the perception of Kingston Smith as specialists in their chosen markets.